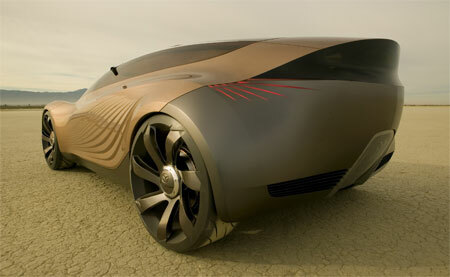 Mazda’s Nagare Concept seeks to showcase Mazda’s future design language under the leadership of it’s newly appointed global design director, Laurens van den Acker. 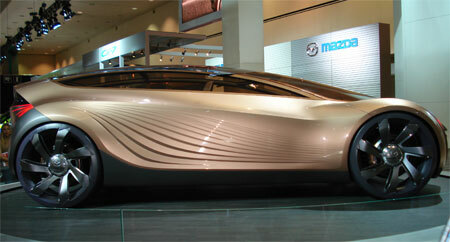 When designing the Mazda Nagare Concept, Mazda used the concept of flow – inspired by the movement of nature’s elements – it’s designers sought to capture motion, energy and light and embed it into the Nagare’s lines. 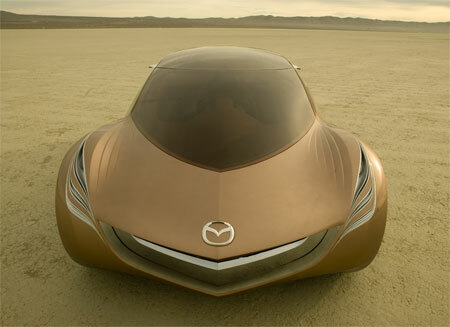 “Mazda doesnt produce concept cars to spin its wheels, and while some are more forward-looking than others, we simply do not create pure flights of fantasy. 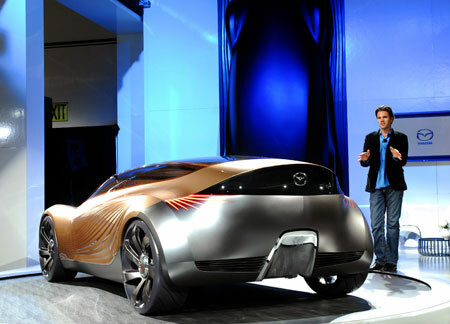 We develop these ideas to demonstrate what we really intend to build and sell,” says Mazda design director Franz von Holzhausen. 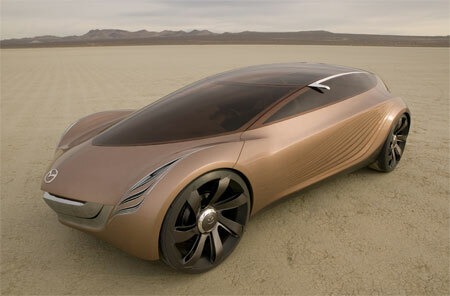 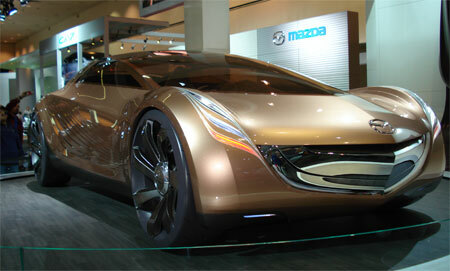 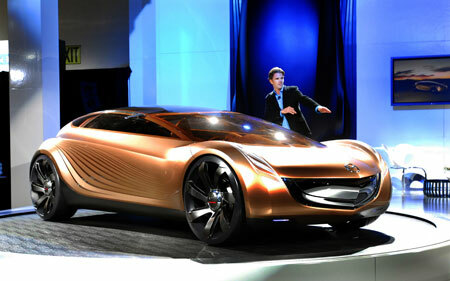 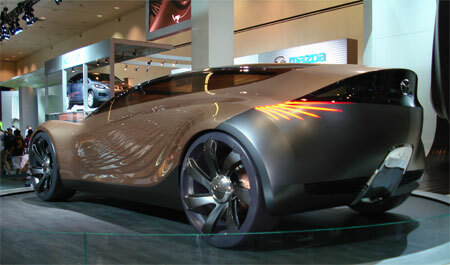 A future Mazda hatchback or coupe might look like this. 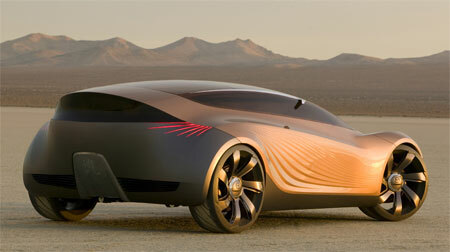 I think it looks something like the Calamari Cruisers of the Star Wars universe. 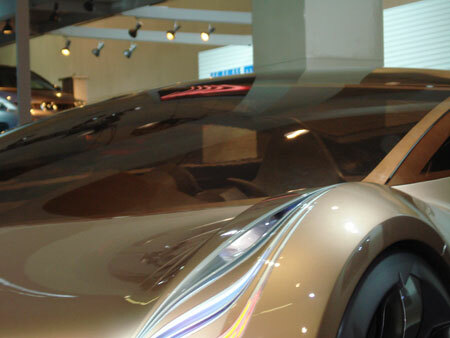 More photos after the jump, including a little peek into the interior through the glass windscreen from the LA Auto Show thanks to reader Syahrizal Salleh.